CAPE TOWN, Oct 30 (REUTERS) - Russia’s state-owned Rosatom and Nigeria have signed agreements for the construction and operation of a nuclear power plant and research centre in Africa’s biggest economy, Rosatom said on Monday. The deals are the latest signed by Russia’s state nuclear agency as it looks to expand in Sub-Saharan Africa beyond a planned bid to build nuclear power plants in South Africa. 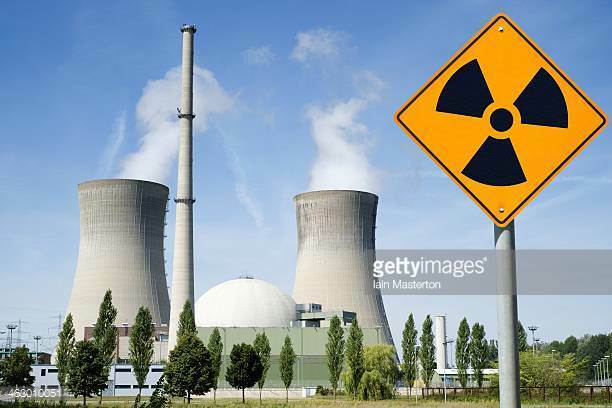 “The development of nuclear technologies will allow Nigeria to strengthen its position as one of the leading countries of the African continent,” Anton Moskvin, Rosatom’s vice president for overseas marketing and business development, said in a statement. Nigeria, which first signed a broad nuclear cooperation agreement with Rosatom in 2009, is turning to nuclear power as Africa’s most populous nation tries to end decades of blackouts that has hindered its economy. Moskvin signed the agreements with Simon Mallam, chairman of Nigeria’s Atomic Energy Commission, on the sidelines of a nuclear conference in Abu Dhabi. Feasibility studies for the new nuclear power plant, which would be the first in the continent’s main crude oil exporter, include site screening and financing schemes, Moskvin said. Rosatom, South Korea’s Kepco, France’s EDF and Areva, Toshiba-owned Westinghouse and China’s CGN are competing for South Africa’s project, which could be worth tens of billions of dollars to develop up to 9,600 megawatts, should it get the green light amid cost concerns in a stagnant economy.